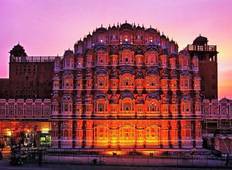 Up to 9% off trips from Yolo India Tours. Find 17 tours with discounts, with tour pricing starting from only $76 per day. "This trip was the highlight of my India tour. I was picked up in the night at the..."
"We had an absolutely fantastic trip with yolo tours. Its really was a once in a lifetime..."
"Great tour!! Yolo India tour welcomed us and assisted us during the whole trip. Dinesh,..."
"We should have had someone pick us up from Delhi station and drop us back to hotel...."
"The service provided by Yolo India Tours was fantastic from beginning to end. We..."
"I recently traveled India with some friends visiting Delhi, Agra, Jaipur and Udaipur...."
"Arvi is an expert of taking care of the whole trip even the tiny details, you can't..."
"Overall a great tour. 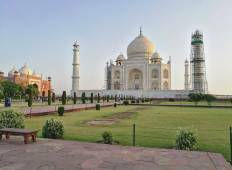 Highlights were the train rides, the guides, and the monuments...."
"I booked Golden Triangle tour with my boy friend and it was our first trip to India...."
"Thanks Yolo India Tours for a great tour! Amit replied to my email enquiries very..."